During the design phase of kitchen or bath remodels, we’re always discussing the focal point of the space, whether that’s a pretty tile feature centered on the cook top, or a handmade tile backsplash with beautiful texture and movement or maybe it’s the natural stone countertop with it’s stunning veining. 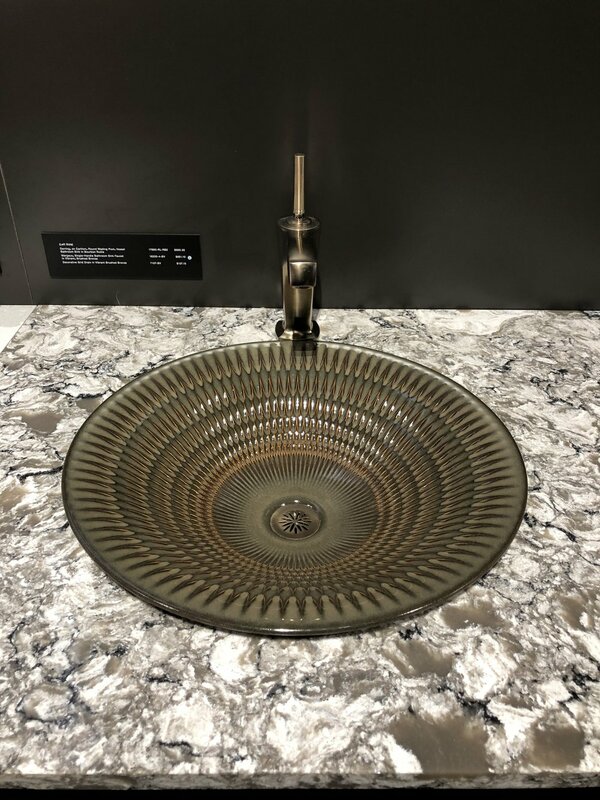 Most of the time, it’s one of those or a combination of them that gives your remodel that ‘Wow’ factor and infuses your personality at the same time… but who ever thought that statement piece could be your sink? These pretty little numbers aren’t any different than your typical white sink when it comes to maintenance; simply clean with soap and water as you normally would and be sure to avoid harsh chemicals so as not to break down the finish. Personally, I love the design and creativity in these sinks, they’re works of art! 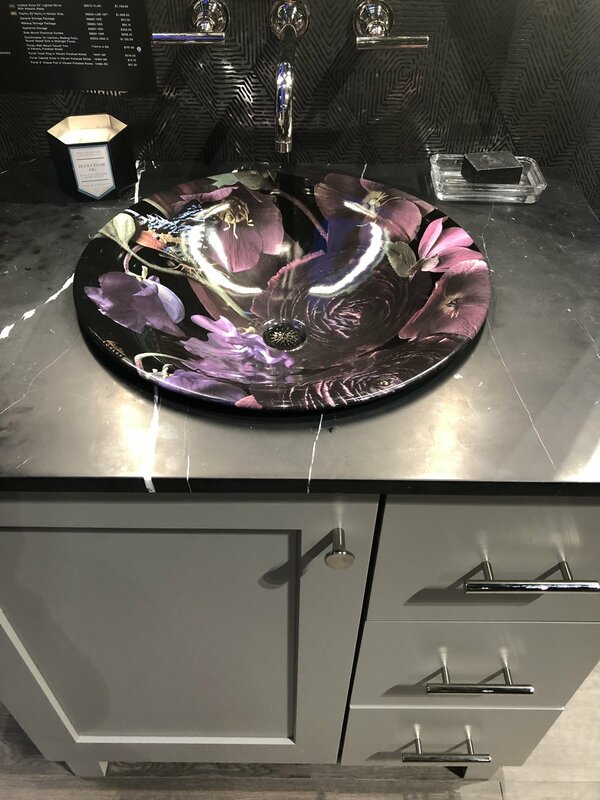 Even though I don’t have floral sinks in my master bath, you better believe I went for something cool in the powder room, which I think is the perfect place to make a fun statement. Our little powder room has a hammered copper sink, and yes, I know what you’re thinking… doesn’t it get destroyed? Not at all! Again, just a very simple cleaning routine, and the sink looks just as good as the day we bought it, and we’ve got hard well water too! So don’t be intimidated - browse the options, learn about the product (or work with a pro who will help you! ), and have fun! Maybe you need something a little less dramatic, but still cool and different? What about a decorative panel for your apron front kitchen sink? Think of it as art for your kitchen! What could look better against white cabinets than some black and white art on your kitchen sink? Maybe you’re thinking, “oh my gosh, there’s too many options!” and you can’t decide what you like best… well, then you can get an apron front sink with interchangeable fronts! Feeling festive for the holidays and want a copper front? Go for it! Want a fresh bright front for spring? Change to the white front! Feeling edgy and needing some contrast? Go black! Versatile and functional - now that’s great design! Tell me what you think, would you like any of these in your house? Love ‘em or hate ‘em?